Starting tomorrow (July 10), the best PowerHockey players in North America will be in Plymouth. USA Hockey Arena, in partnership with the Michigan Mustangs program, is hosting the 2018 North American PowerHockey Cup from July 10-13. The four-day tournament will take place at the Mitchel Kiefer Memorial Rink, culminating in the crowning of the 2018 North American PowerHockey Cup champion. Teams from Toronto, Ottawa, Calgary, Philadelphia and Michigan will try to take the trophy from Minnesota, the defending champions. The North American PowerHockey Cup is a bi-annual event; in alternate years, the U.S. teams compete in the United States PowerHockey Championship. PowerHockey is a sport of wheelchair floor hockey with the use of electrically-powered wheelchairs combined with modified ice hockey rules. 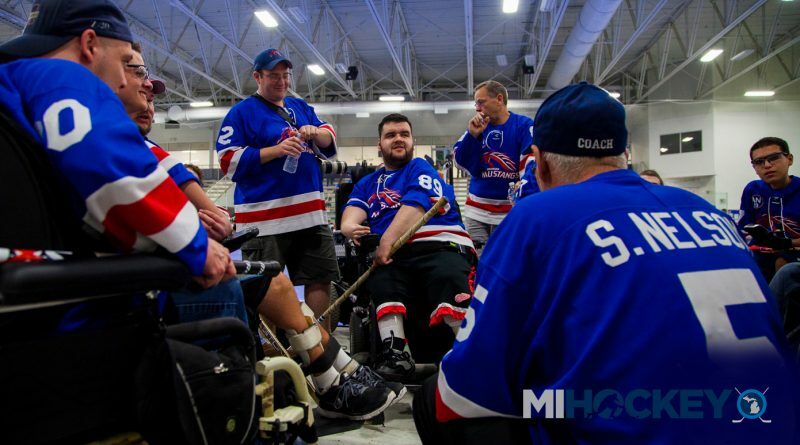 The Michigan Mustangs are a PowerHockey travel club team that represents a Michigan-based wheelchair hockey league. They won the inaugural PowerHockey Cup in 2009.